At NENS, we understand that every business is different, as are your IT needs. But no matter your business specialty, size or strategy, everyone can harness the efficiencies and value gained by implementing best practices. To help you achieve your technology and business goals, NENS offers four standard levels of managed IT services. Employee desperate for IT help, overwhelmed with IT issues! Find out how NENS can help your and your employee’s day run smoother. Is your organization struggling to keep up with the demand of modern technology? You’re not alone. Small and medium-sized businesses across the country struggle every day to maintain the IT needs – and when they fall behind, the results can be catastrophic. Keep reading to find a few key scenarios that show your IT team isn’t making ends meet – and then what to do about it. Let’s face it, we live and work in a modern society, which focuses on the tech we need to get through the day. Modern employees rely on a host of technological devices, from smartphones to desktop computers, to get there job done – and if that technology isn’t up-to-speed and working properly, productivity can rush to a screeching halt. Updating that aging tech is a process however – and if your IT team is limited, it may be a process that goes from being done in a timely fashion to note done at all. And while vintage is always in, it’s not a good look for your office – at least, as far as workplace technology is concerned. One of the biggest signs that you need to rely on managed IT services is seeing that things simply aren’t getting done. As small businesses become medium-sized businesses and beyond, it’s not uncommon to see IT team members become overworked – and then not getting to every project they need to complete. Whether it be the latest software updates or patches on your cybersecurity systems, keeping IT efficient is all about maintenance. This maintenance, however, can be time consuming and tax the resources of a small team, meaning critical projects may not be completed. Missing even a few security or software patches can be a disaster for your businesses – which means your IT team not getting to everything they need to do is a constant threat to your organization. The biggest threat to business today is cybercrime – and if you’re not prepared to prevent it, your organization is 10 steps behind. Organizations that lag behind in their cybersecurity efforts are living in a constant target – and once a hacker finds your organization in their sites, it can cost you. In fact, the average cost of most small and medium-sized business data breaches is upwards of $117,000, and cybercrimes at an all-time high and not looking like they’ll be curbed anytime soon. If your organization doesn’t have a cybersecurity-equipped IT team, it’s time to find a way to ensure your cybersecurity bases are covered before it’s too late. If your organization checks off all of these boxes – or even just one – it might be time to find a managed IT services provider. But, ending up with a bad managed services provider can be worse than not having one at all – which means it’s critical you find the right fit for your organization. At NENs, we have decades of experience in managing our partner’s IT needs – from simple maintenance and technological updates to cutting-edge cybersecurity – and we’re ready to help your organization too. Give us a call today to learn about how our IT services can take a load of your IT team, and improve your organization’s efficiency. Just because you’re backing up your organization’s data doesn’t mean you’re doing it well. 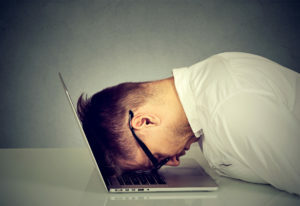 Yes, that’s correct – not all data backup solutions or strategies are created equal, and if you find yourself unknowingly making these mistakes, it could cost you dearly down the road when you do need to rely on those backup files. Keep reading to find out 3 of the major backup mistakes you might be making without even realizing it. Installing a backup is only as good as the previous backup, which means if you’re not frequently backing up your files you could be in a world of hurt when the time comes to rely on this technology. 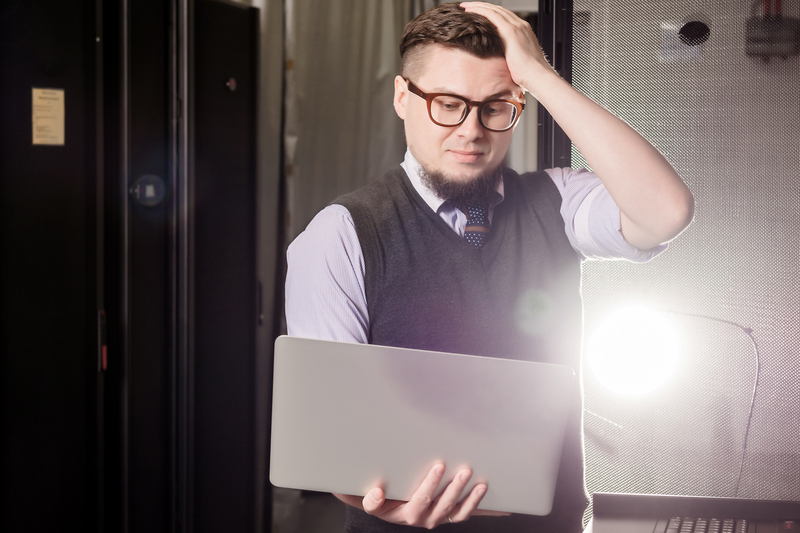 As many as 16 percent of business backup as little as once per month – which means if you’re backup is on the 1st of each month, and you lose data on the 29th, then you’re out of luck. Ideally, data should be backed up once every 24-hours – but for some organizations, that process can become a bit too much to handle. The fact you have backups in place means you’re prepared to face any cybersecurity threat like a ransomware attack, right? In fact, on average less than half of ransomware victims end up recovering all of their data – and backup bad habits may ensure that you end up with even less. In fact, 60% of small businesses go out of business within 6 months after a major cyber-attack – and a major player in this is the loss of all their personal and valuable data. With expert backup habits, businesses stand a better chance of getting back on their feet after an attack. Backing up data is a lot more than just ensuring you have a copy of something somewhere. In fact, if you’re not sure about the difference between backups and archives, and are not sure which you’re doing, then you’re already 10 steps behind. Are you using cloud solutions? Tape? Or are you still hoping your archives will help your backup data? Knowing which tools to use, and when, will make a dramatic difference in the effectiveness of your backups. Choosing the right tools will save the day – choosing the wrong tools will leave you stranded when disaster strikes. Understanding the ins-and-outs of effective backup habits isn’t always cut and dry – which is why many business leaders choose to partner with an IT consultancy to help manage your data backup. At NENs we supply the backup expertise, so you don’t have to – and will ensure your data stays safe and up-to-date, ready to help you weather any business misfortune that comes your way.